Here at the Media Sung we are in love with the Woburn Designer Changing Bag, by Zellie. This gorgeous bag includes a range of features that make it great for baby changing, such as the fold-down changing mat for changing on the move. The long shoulder strap also makes it easy to hook over the pram when out and about with your little ones. 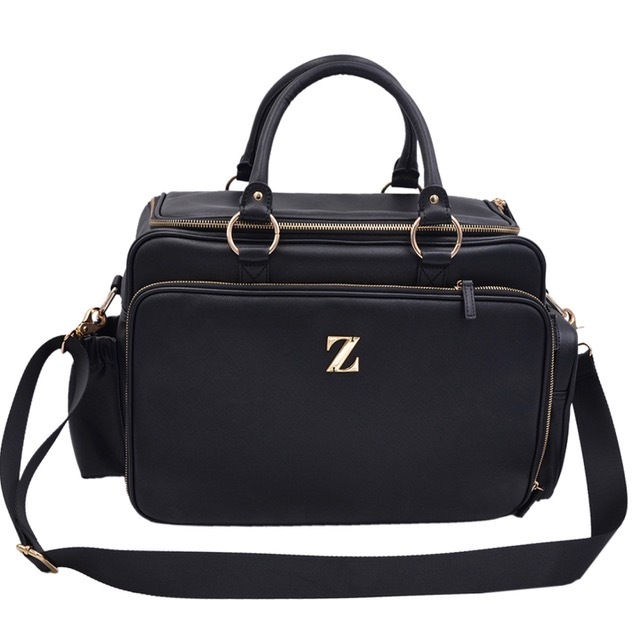 The stylish designer leather bag not only makes a fantastic baby changing bag, the unique design makes the bag an absolutely amazing travel and holiday accessory! The Woburn travel bag featured in the Metro’s Newspaper article, “Summer’s top luggage trends to make the airport your runway”. The article included other top travelling essential bags, backpacks and suitcases, perfect for summer trips and travel. The Zellie bag has been recognised as a summer travel essential. Leave your handbag at home! The Woburn bag is the perfect size to use as hand luggage on flights. It’s spacious enough to fit all your travel items, whilst still meeting cabin size restrictions on most major airlines. Perfect for the limited space available on a crowded plane! This on trend fashion bag is also practical for carrying all your daily essentials when on holiday and will make an excellent accessory to be styled with all outfits worn throughout your trip. The stylish yet practical design contains 14 pockets, meaning it’s great for accessing your belongings quickly to keep everything organised when travelling. Forget fretting about losing your passport and boarding pass, with the huge number of pockets included, you know exactly where everything is! The Metro described the bag as “your own personal PA” and “a dream for those who like things organised”. A must-have unique, stylish and practical travel bag!